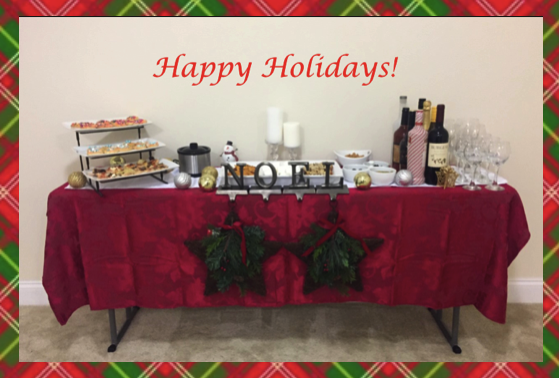 There's nothing we love more around this time of year than throwing holiday parties! In our house, there's no such thing as too many guests, but creating space for everyone can become a stressful endeavor. We always want to ensure a great flow throughout our home, so that our guests have a variety of conversational areas to munch on goodies and mingle with each other during the party. This year, we've finally perfected our layout with the help of Titan Great Outdoors. Check out our tips below and get inspired to create the perfect flow for your own parties this season! Tip #1 Create buffet stations throughout your home. If you are planning to create buffet stations throughout the house, these 18" wide seminar tables are perfect! It's important to have solid, quality tables to prevent wobbling and ensure stability for your food and drink spread. We love that these tables are skinny enough to place in our hallways without blocking the walking area and the 72" length allows us to include a nice mix of drinks, fondue and snacks at each station. 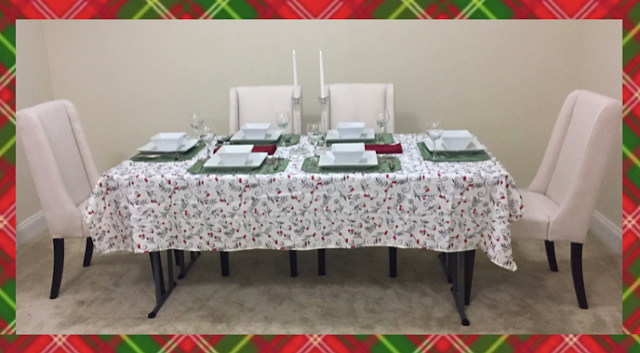 We covered the top of the table with a bright holiday tablecloth and added some Christmas ornaments to create a festive feel. The stocking holders provide hooks for hanging larger decorations and fit snugly on the edge of the table without taking up much room! Tip #2 Use fold-out tables to create additional dining areas. The Titan Great Outdoors Seminar Table 2-Pack is the perfect solution to create additional seating for dining. We placed the two seminar tables side-by-side and covered them with a beautiful winter tablecloth. 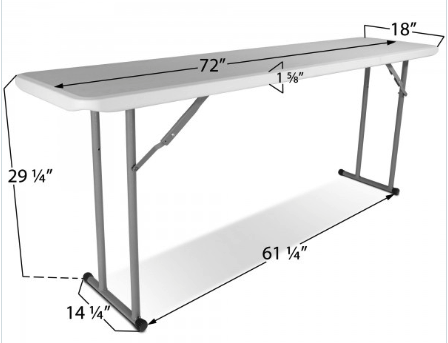 The seminar tables are perfect for this task because they are so sturdy. Using holiday placemats and entree warmers is an easy way to create an elegant dining setting. Whether sitting at your main dining table or these temporary tables, all of your guests will feel like they've been treated equally! We love how simple these sturdy tables are to set up and take down quickly. 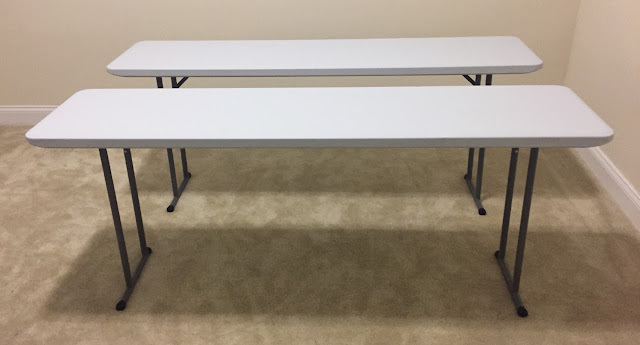 Because they are light-weight with plastic tops, I was able to set both tables up and break them down at the end of the night without any help. If you choose not to cover the tables, you'll be happy to know that the plastic tops are very easy to clean. Head over to Titan Great Outdoors to check out their variety of tables and other supplies that can help to create the perfect party layout! Even better, enjoy site wide free shipping delivered right to your door. Disclaimer: The products in this post were provided by Titan Great Outdoors. As always, our posts are our own opinions.